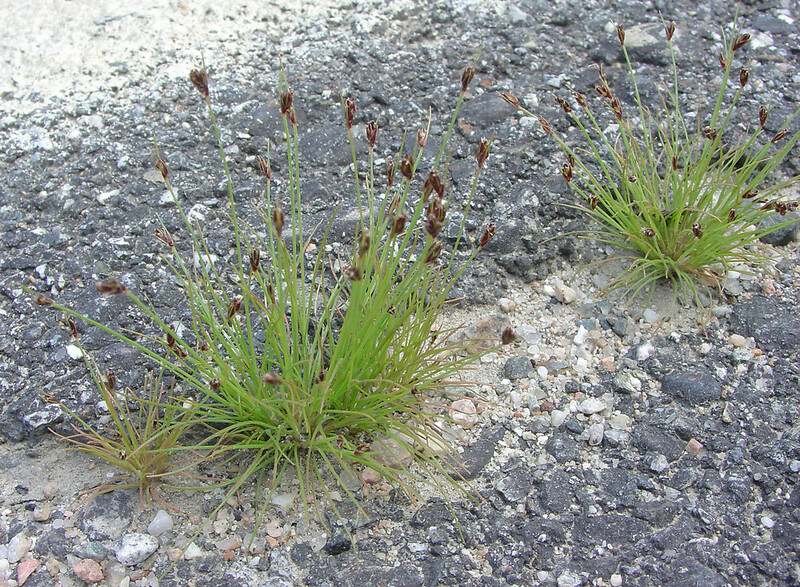 Tufted hair-sedge is a widespread species, native to North, Central and South America, Asia and the Pacific. 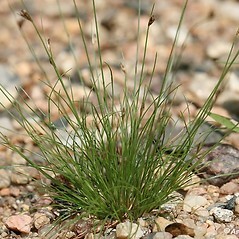 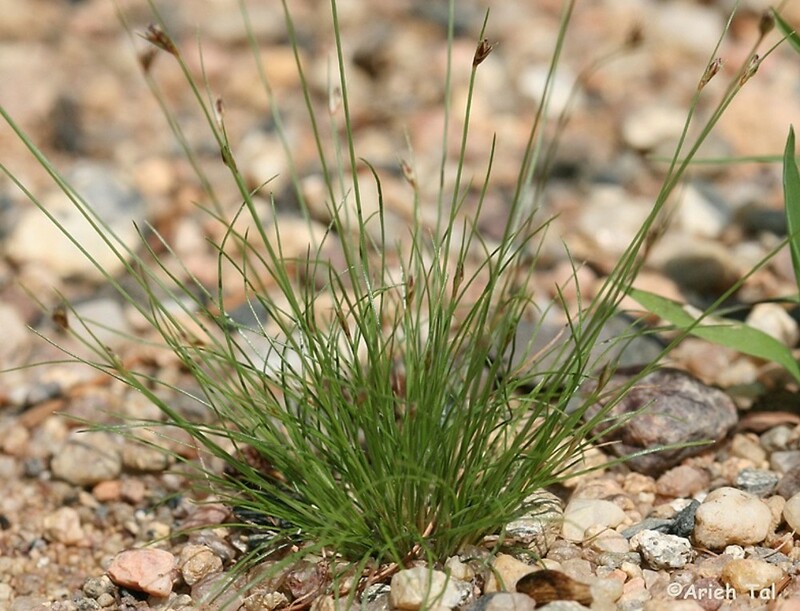 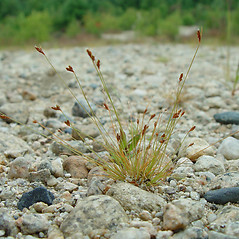 It is often found in well-drained, sandy soils with little other vegetation. 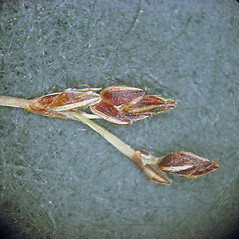 larger leaves 1-3 mm wide, without two lateral tufts of hairs at the junction of the blade and sheath, and stems flat (vs. B. capillaris, with leaves up to 0.5 mm wide, with two lateral tufts of hairs at the junction of the blade and sheath, and stems capillary). 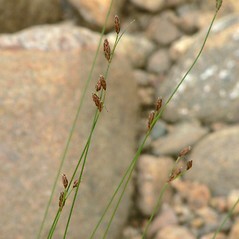 Bulbostylis capillaris var. 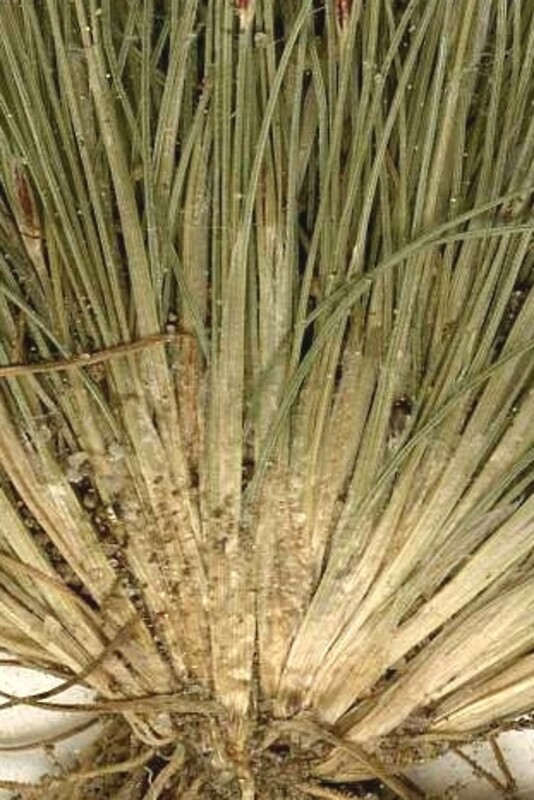 crebra Fern. 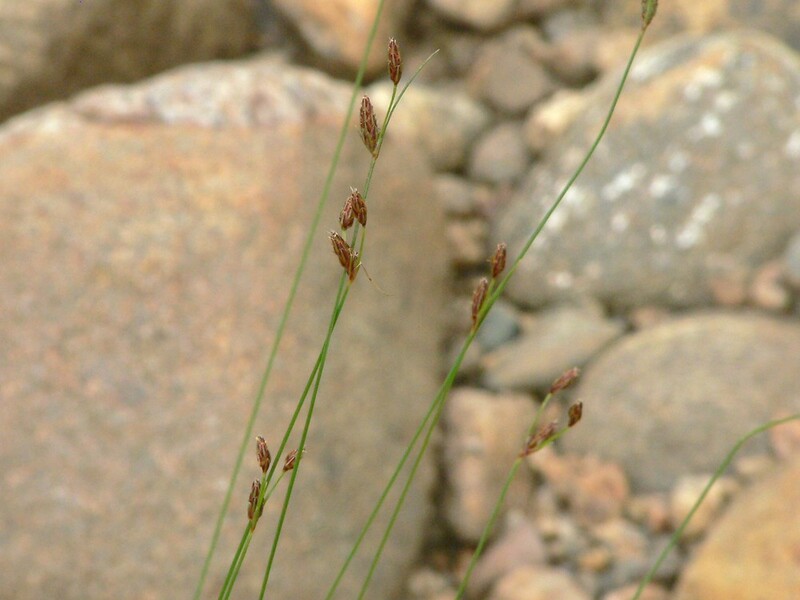 tufted hair-sedge. 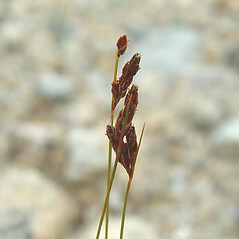 Bulbostylis capillaris (L.) Kunth ex C.B. 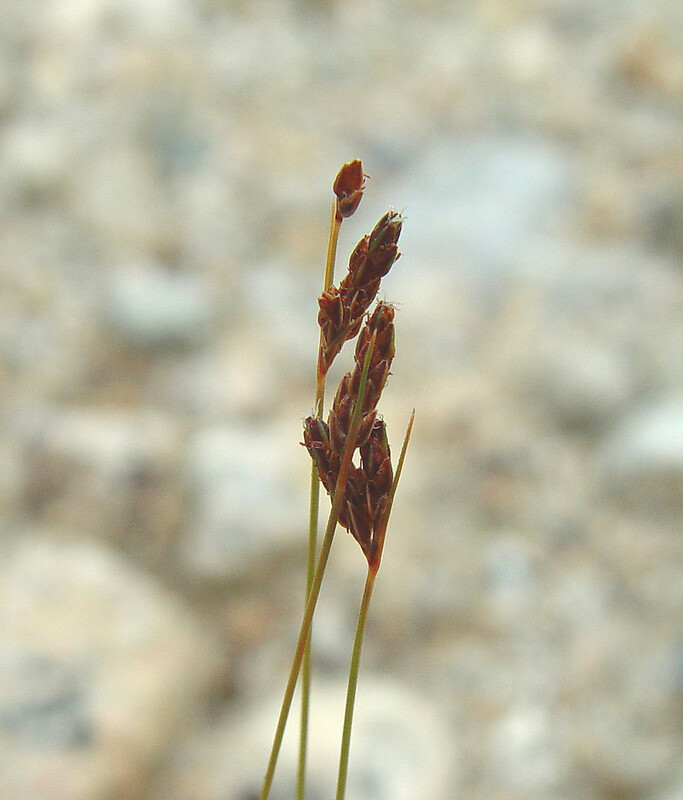 Clarke var. 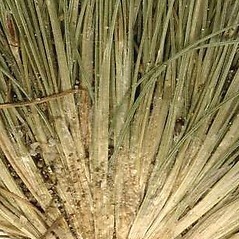 crebra Fern. 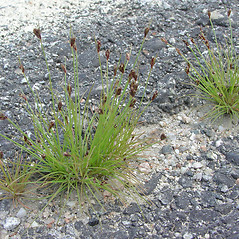 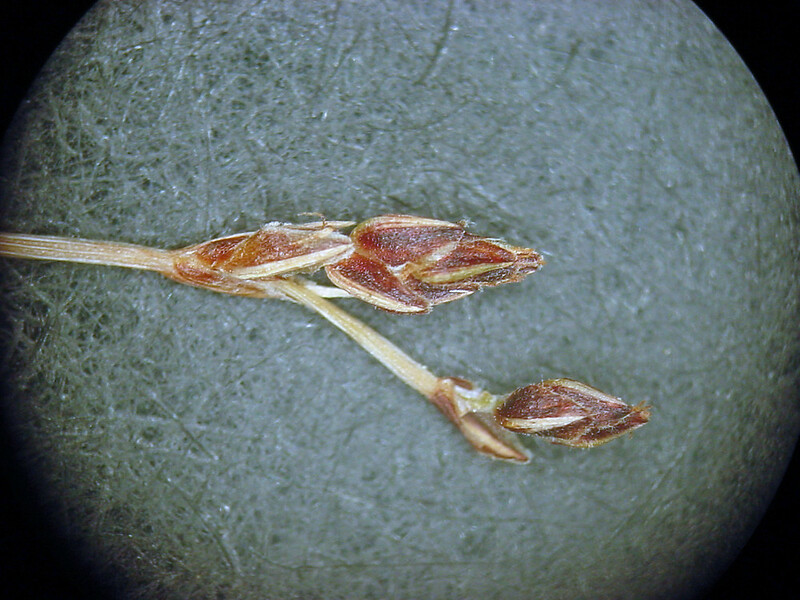 ; Scirpus capillaris L.; Stenophyllus capillaris (L.) Britt. 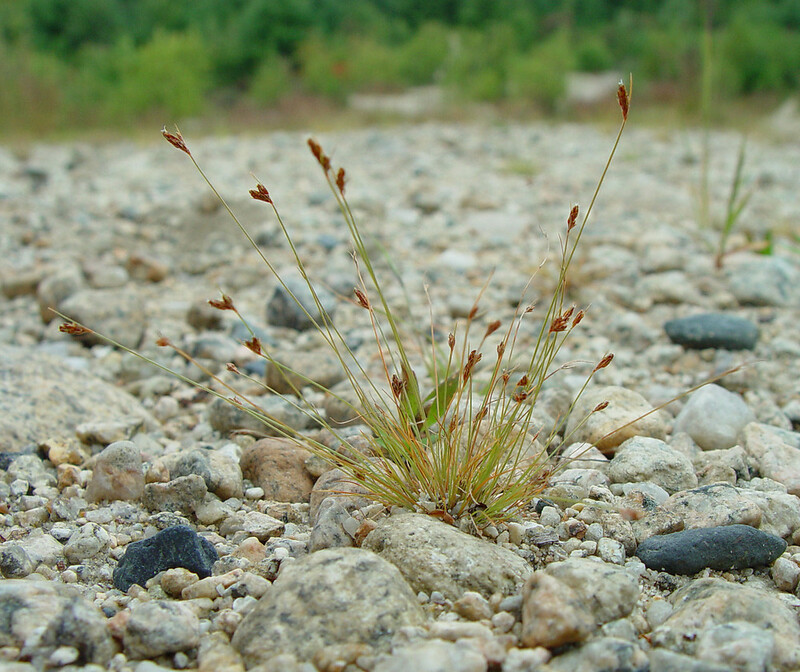 • CT, MA, ME, NH, RI, VT. Well-drained sand and gravel of grasslands, roadsides, borrow pits, and waste places.